Arayot – July 10th Update. Hello again! Arayot has been up to some amazing things over the past few days and we can’t wait to share them with you! Thursday morning was back to the regular routine after the jam-packed schedule that we had with Loon and Erev Paint on Wednesday. In the afternoon the chanichim (campers) continued working very hard to prepare for Ketzev which is now just a few short days away. The boys took a break from Ketzev prep to play a spirited game of cricket while the girls enjoyed a peulah of volleyball. Thursday night was a lifi tzrif (with your bunk) activity that gave the chanichim a chance to spend time with just the members of their tzrif. The two boys bunks joined together to compete in a shmelkin ball tournament while the girls had a fiery night of debate. On Thursday we also took another big step towards becoming the leaders of the camp as we served as meltzers (wait staff) for our first two meals. Friday morning was again a regular schedule as the fervor surrounding shabbat began to grow. 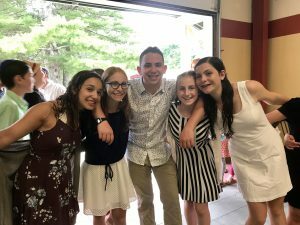 In the afternoon we again labored to prepare for Ketzev and had a birthday party to celebrate the thirteenth anniversary of Ari Rabinovitz’s birth. We welcomed in Shabbat with ReleSh (Ruach Lifnei Shabbat) and then headed into the Ben Zvi for Kabbalat Shabbat. After a delightful Shabbat dinner we returned to the Ben Tzvi for some zemirot. 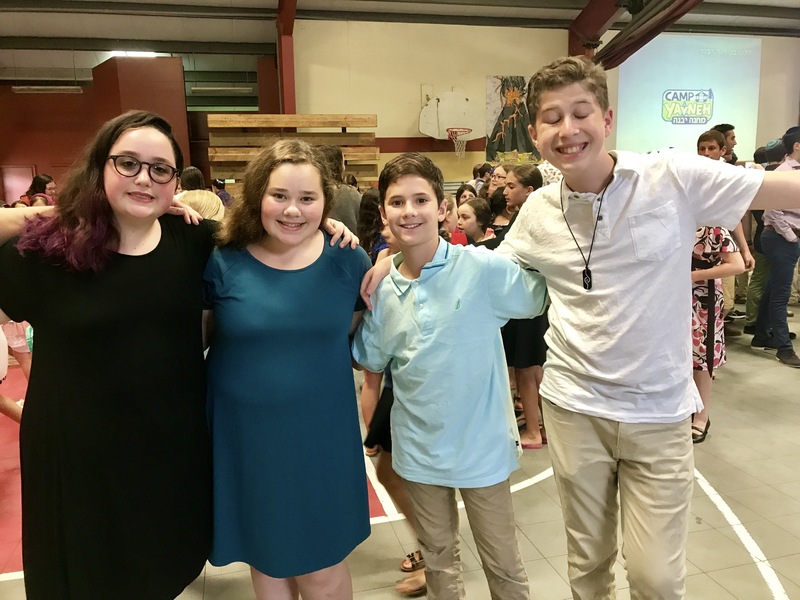 Despite the torrential downpours we were all able to enjoy a fantastic Shabbat. In the morning we had the usual schedule of Shacharit followed by a breakfast snack and Musaf. After Musaf we had zman chofshi (free time) before we gathered together again with the entire camp for lunch. After lunch the boys had the special privilege of being invited to Bil’s house for kiddush.We ushered out Shabbat with dinner followed by more zemirot and then Havdallah and Rikudiam. Yesterday we returned to our normal schedule in the morning. In the afternoon we continued to prepare for Ketzev and enjoyed a beautiful afternoon peulah at the agam. We can’t wait to see many of you at Hebrew College for Ketzev!